WRITTEN BY CHUCK DIXON; ART BY GLENN FABRY; COVER BY PHIL NOTO. Featuring guest-art by Glenn Fabry (PREACHER covers)! 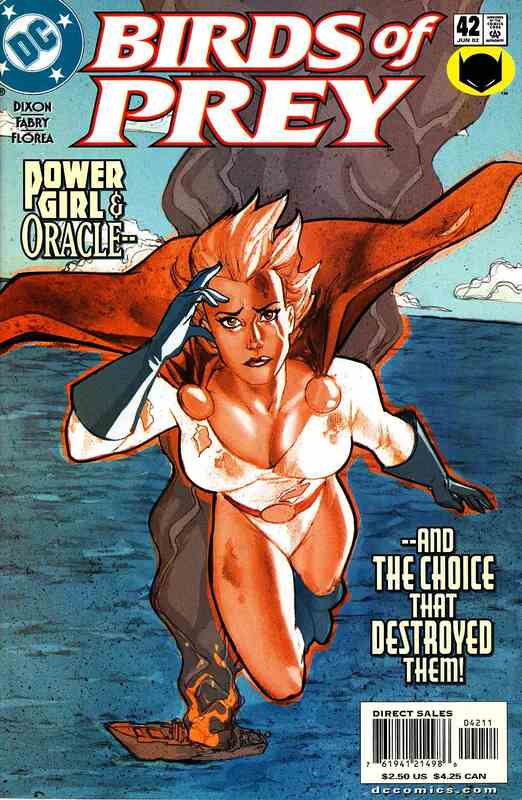 Power Girl returns to test the limits of her diminished powers by going in a mission for Oracle. More importantly, we learn at last the terrible secret that has poisoned Power Girl's and Oracle's friendship. Could this be the final appearance of Power Girl in these pages?